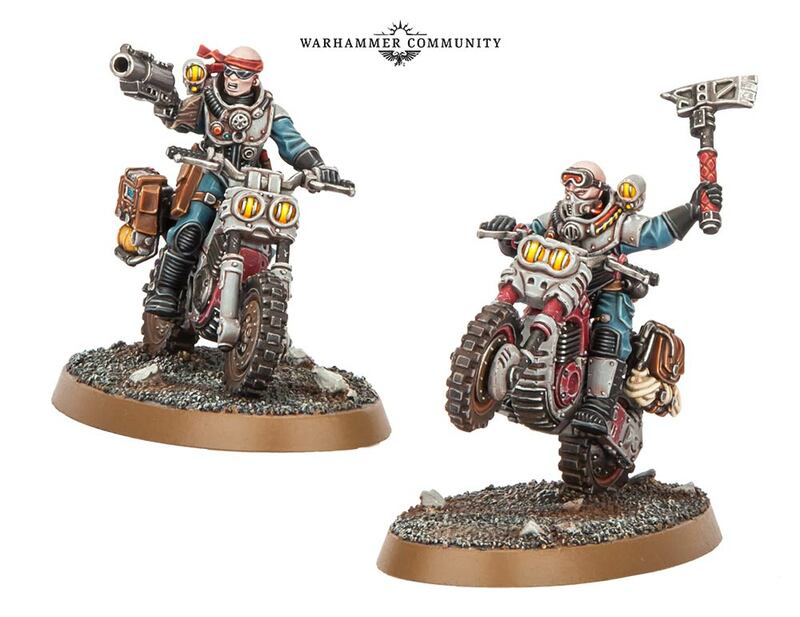 Hey guys, you have probably already seen the news but apparantely there will be renegade guardsmen in the blackstone fortress box. Over the moon. A sign of great things to come (I hope). If you count the video and the new model, not only traitor guard, but also Dark Mechanicus ahead. I am excited what is coming. The Fortress will be ours, brothers and sisters, rest assured these decadent bureaucrats, Xenos scum, and Machine God zealots will not deny the Gods their prize. And it looks like another kind of beastmen as well! I’m so hyped! Chaos reigns! As much as I want to get a good feeling, I don't think this is a precursor to bigger and better in regards to a dark mech or traitor guard. I'd be more inclined to think that it would lead to a basic revamp of the CSM trooper than anything else. But who knows, maybe they will. Just saying, a lot of things featured Citadel Board Games became fully fledged in codizes. There are both cc guardsmen and ranged guardsmen so they'll function as CSM cultists in any case. Luckily I get Christmas subsidy this month as these and some of the other models shown would be a nice addition to my renegade forces. Obviously hoping for this to be the door to greater things on the renegades side. Edited by GreenScorpion, 04 November 2018 - 07:12 PM. And he was no god. Perhaps not a man, but never a god." Looks like it'll be an easy-to-build spruce of 7 models x2 in the box. They look phenominal! Way better than the existing cultists. Exactly my thought. They even look very close to the poses of the cultists you can buy right now. Three with long range guns, two with close combat weapons. Not fitting in is the chainsword (Which looks like a leader) and the flamer. What I am confused about is that there are 7 different ones. Strange number for a squad. I know, I know, autoguns use literally the same stats as lasguns, but in an age of WYSIWYGGWorkshop they'd be conscious of that little fact. The small inclusion of Beastmen is also really interesting when they could've just slapped a couple more poses for the Traitor Guardsmen in there. I think it's too much of a coincidence we had the Gellarpox Mutants only a couple of months ago too. I think you mean *perfect* number for a squad. Oh yeah 10/10 will buy several of these. Im assuming they will be 40K integrated somehow. Like the trench fighter type wargear and the gritty looking lasguns. An actual Codex Renegades would just make my decade. A pity they're snap-fit/repeated sculpts at the moment (to be expected from a boxset though) but holy moly those look cool! I am beyond hyped! The game looks like something I could actually convince my friends/partner to play, and it bodes so well for the future. 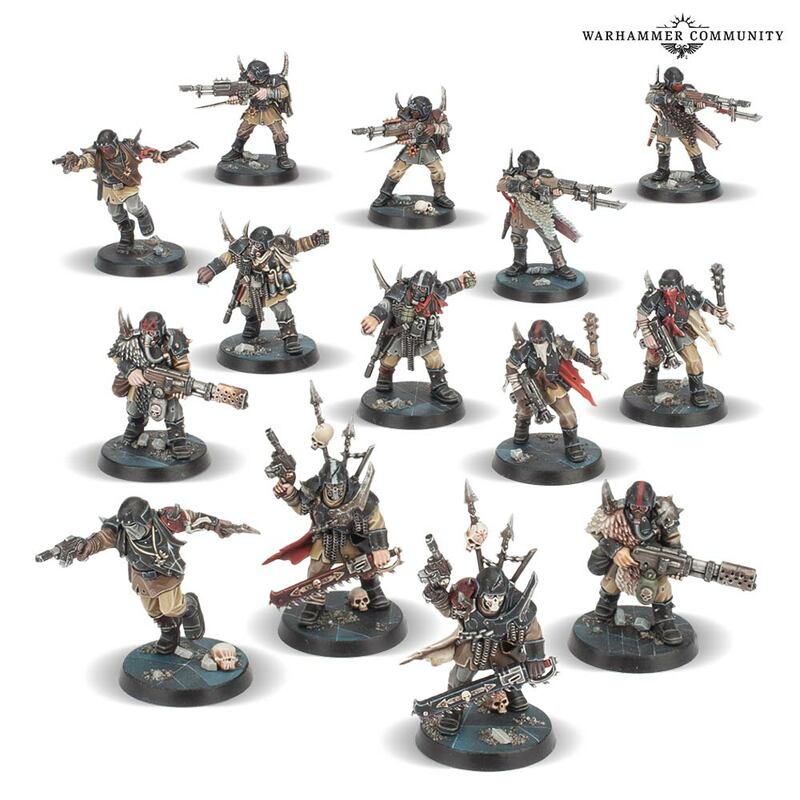 I’ve got tons of necromunda bits and gsc dudes waiting to be spliced unto cultists so getting some more variety should be a snap even with push fit. I am gonna write them down tomorrow, it has gotten late here (23:46) and just got home from a tournament. 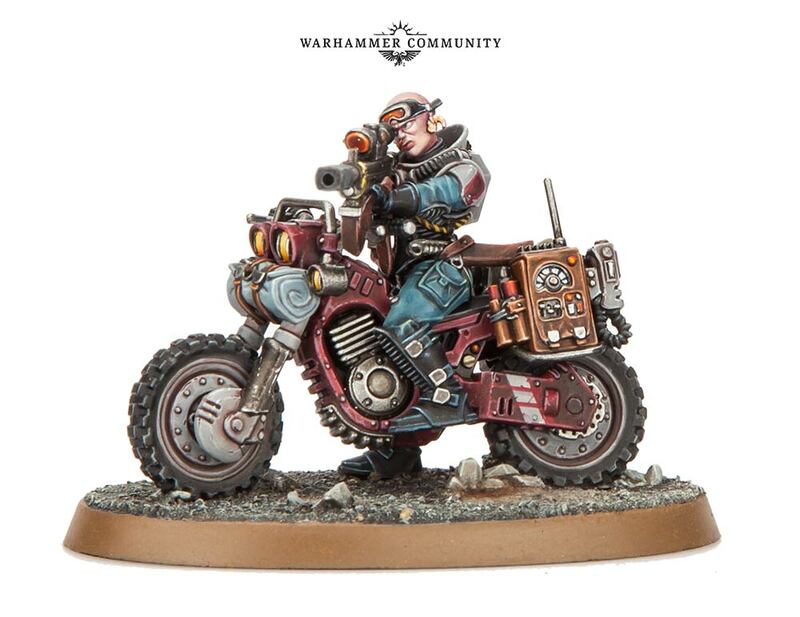 I really hope this leads to a proper R&H codex (or something like a Chaos-but-not-demons/marines codex that has a variety of chaos critters in it. I've been playing with Thousand Sons and loving it, and feel more and more tempted to jump into a full chaos soup, and this would definitely do it for me! ...are there still rough riders in the rules somewhere? Yes, they are in the Index Imperium 2. Edited by Nemerax, 24 November 2018 - 11:38 AM. So <Servants of the Abyss> Kill-Team is here. Thoughts? With the Chaos Marine leader backed up by half a dozen different 'Mortals' it's as near as (ha) damn it the old Lost & Damned list, albeit on a smaller scale.